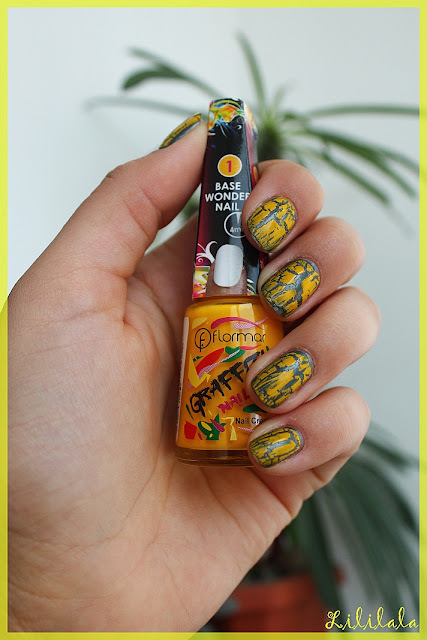 This is the second time I used the Flormar Yellor Crackle polish and I am very disappointed. Not because of the formula (that works great) but because of the color. It is...unwearable from my point of view. 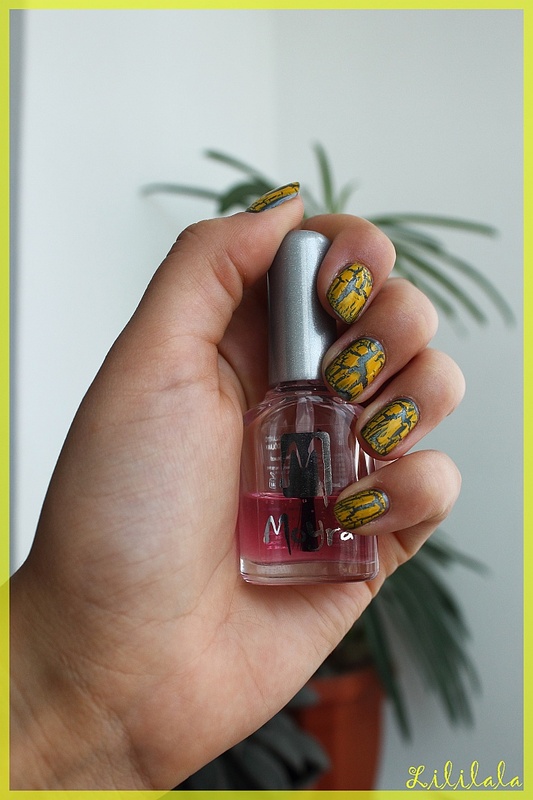 What color would you associate a yellow crackle with? Juj, hat tenyleg ez nem a leg sikeresebb manikur. Elmeletileg a sarga perfektul kene passzoljon a zoldel, de ez valahogy igy nem izleses. Lehet ha feheret hasznalsz a zold helyet, jobban fog ervenyesulni a sarga. Looks fine imo. 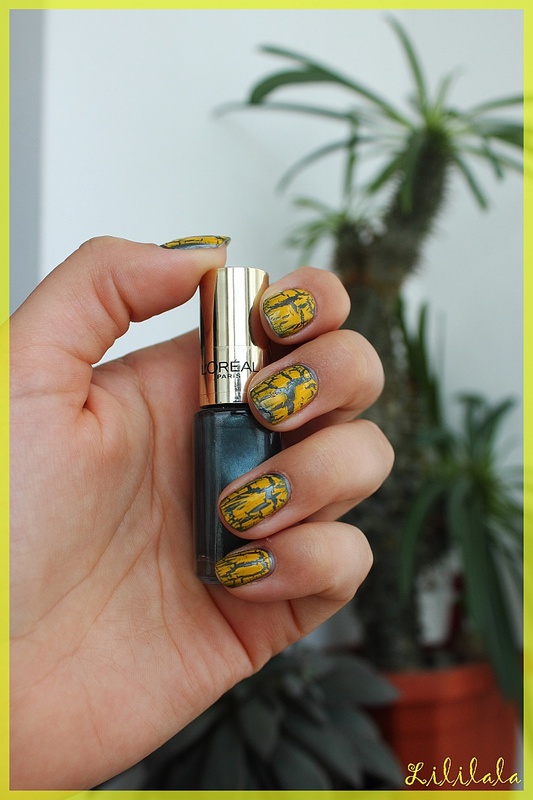 I like yellow crackle over turquoise shimmery polishes, somehow it works ok. Thank you for your suggestions. I will take them into account for my future manicures.